Rockstar Games is changing and Grand Theft Auto Online is the catalyst for that change. Previously the developer was known for its single-player adventures: the open worlds of Grand Theft Auto and Red Dead, the stealth action of the Manhunt games, the school age shenanigans of Bully, and the detective tale of L.A. Noire.There was the occasional multiplayer and online action to be found, notably in the currently-defunct Midnight Club racing series, but that wasn't what Rockstar was known for. Yesterday, Rockstar Games parent company Take-Two Interactive announced its earnings report for the first fiscal quarter of 2018, ended on June 30, 2017. Net revenue grew 34 percent year-over-year, up to $418.2 million. In its report, Take-Two points to a few games as causing that growth. "The largest contributors to Net Sales were Grand Theft Auto Online and Grand Theft Auto V, NBA 2K17, Dragon City and Monster Legends, WWE 2K17 and WWE SuperCard, Mafia III, and Sid Meier’s Civilization VI," said the company. It's worth noting that the list begins not with Grand Theft Auto V, but Grand Theft Auto Online specifically. Digital net sales grew almost 50 percent to $280.9 million. A revenue jump of $96.1 million in digital alone is astonishing. Take-Two remains positive in the ongoing sales revenue coming from Grand Theft Auto Online and Grand Theft Auto V, to the point that Rockstar is going to continue updating the game due to "higher expected internal royalties driven by the strong performance." "Due to the continued success of Grand Theft Auto Online and other factors, the Company has determined that it is necessary to extend the life of Grand Theft Auto V and Grand Theft Auto Online for purposes of calculating deferrals," Take-Two stated. 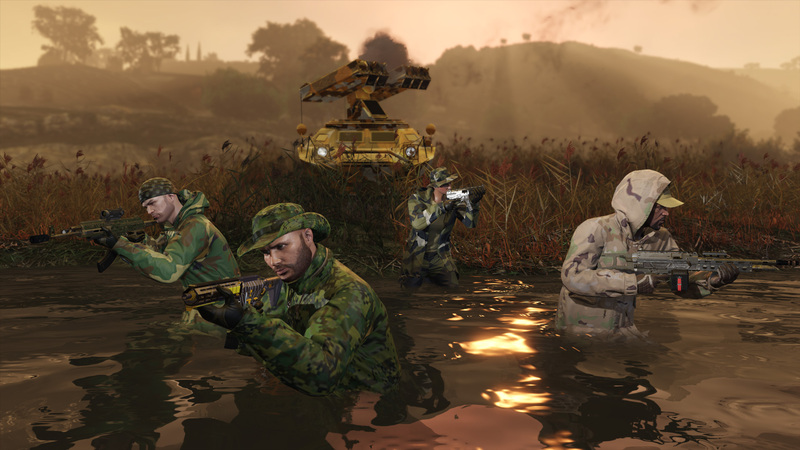 Ghost Recon or GTA Online? 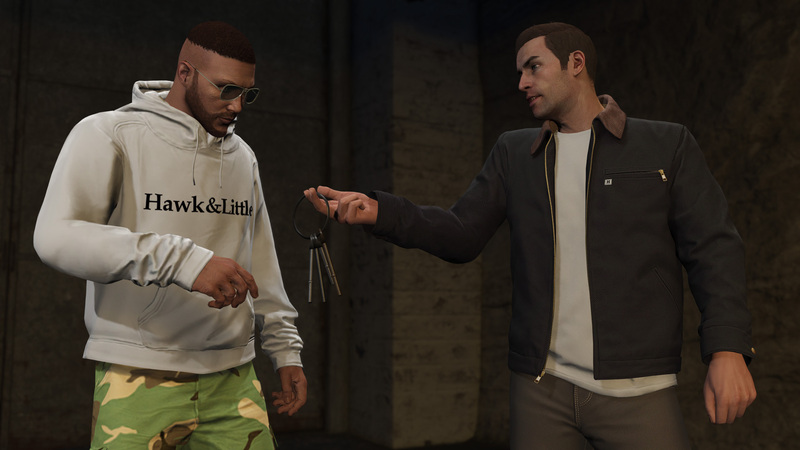 Take-Two CEO Strauss Zelnick lauded the "ongoing extraordinary performance" of Grand Theft Auto Online and Grand Theft Auto V. Rockstar Games has consistently kept GTA Online updated with brand-new content over the past year. 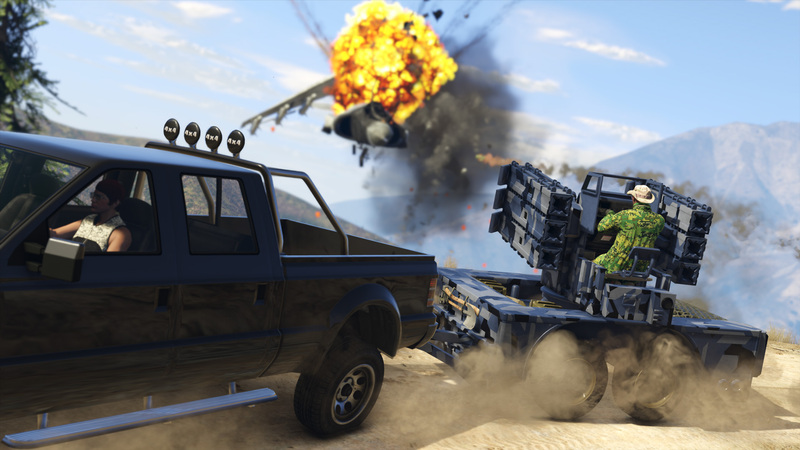 The free content updates added Gunrunning, Dawn Raid, Overtime Rumble, and Power Mad game modes to the title, including a host of purchasable weapons, clothes, and vehicles. And it's making so much money that Rockstar isn't going to stop supporting it. There's a further question: Where are the updates to single-player? Most of have forgotten, but single-player story mode downloadable content was on the table originally. Here's an official post by Rockstar from December of 2013. "For those ready to jump back into the story of Grand Theft Auto V, we have big plans for substantial additions in 2014 continuing Michael, Franklin and Trevor's action, mayhem and unexpected adventures in Southern San Andreas," said the news update. One of the voice actors behind the game's lead characters even mentioned that story content in a video released a year later in 2014. Shawn Fonteno, the voice of Franklin Clinton, mentions working on new story DLC. "We’re working on the DLC, downloadable content, for Grand Theft Auto 5, and that's real big, man. That's first on my list right now, to finish that up, because that's a lot more cake," Fonteno told Jack Thriller. Those plans dropped off the map because of the strong performance of GTA Online. Back in 2015, Rockstar told IGN that GTA Online had a concurrent playerbase of 8 million players. In fact, the success of the online portion meant that Rockstar North has never stopped working on the game, as opposed to previous entries, where they had time to work on further single-player updates. GTA Online sucked up all the air in the room. "Grand Theft Auto Online changed the flow of development from what we were traditionally used to, which has been a learning experience for everyone," Rockstar North director of design Imran Sarwar told IGN in late 2015. "The shift to working on an evolving online game means there are fewer pauses in production – we are constantly producing content for GTA Online alongside everything else we are working on." 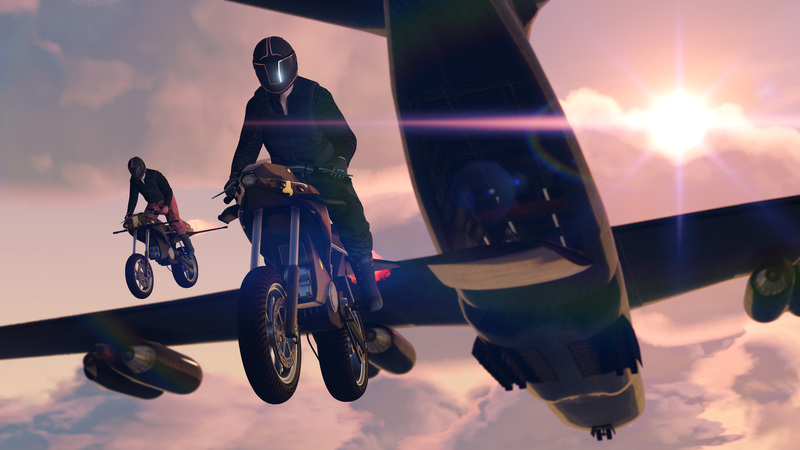 "GTA Online has proven too interesting and too important to be separate from the main mission of the entire team," Sarwar added. "Right now our focus is on GTA Online which has exceeded our expectations. We currently have all key members of the team that launched Grand Theft Auto V focused on supporting GTA Online in every capacity." GTA Online reportedly drove at least $500 million in revenue over the course of 12 months, according to court documents filed by former Rockstar North president Leslie Benzies. And that's for a game that Rockstar doesn't have to create a new story for. No more script writing, motion capture, or voice acting. Just a dedicated team of modelers and designers. Red Dead Redemption 2 will have some sort of online. So it's no surprise that Red Dead Redemption 2 will likely have its own online mode. The game was originally scheduled for the second half of 2017 on PlayStation 4 and Xbox One, before being pushed back into the second quarter of 2018. Take-Two has already registered the RedDead.Online domain name and Zelnick has expressed excitement about the online mode. "Obviously, we're incredibly excited about the title. 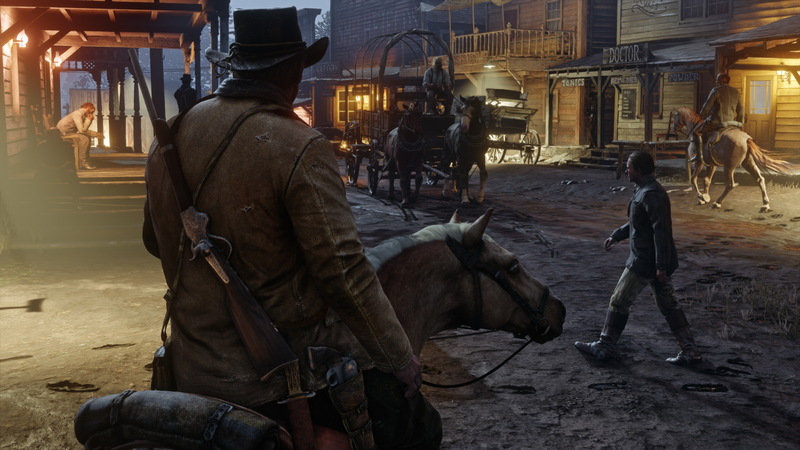 Not just Red Dead Redemption , but also the online offering to come," Zelnick said at an investors call earlier this year, according to GameSpot. "So Rockstar will talk more about the title, but obviously, there is great anticipation both on the part of ourselves and consumers." There's essentially too much money in GTA Online for Rockstar Games to not go for the gold with a similar mode in Red Dead Redemption 2. Nearly four years later and not only is Grand Theft Auto V still topping sales charts, but Grand Theft Auto Online is making enough bank that Rockstar is cancelling its plans to stop supporting it. No company can look in the face of that money and not decide to do it again. Especially because if they pull it off, we'll be in 2021 with Take-Two proudly announcing that Red Dead Online will see further support. Rockstar Games is an online services developer now. The open-worlds will still be big and grand. The stories will still be interesting. But all of that will just be a prelude to hopefully get you interested in the online, because that's where the real money is. Tagged with Action,	Analyses,	PC,	PlayStation 4,	Rockstar Games,	Serious Business,	Take-Two Interactive Software,	Xbox One.